Argues for the role of personal acquaintance in both love and concern for individuals, as such. The challenge is to say what personal acquaintance is and why it matters in the way it does. These questions are addressed through the work of Emmanuel Levinas. Topics include: the ethics of aggregation, the basis of moral standing, and the value of human life. Argues that ignorance of who will die makes a difference to the ethics of killing. It follows that reasons are subject to 'specificity': it can be rational to respond more strongly to facts that provide us with reasons than to the fact that such reasons exist. In the case of killing and letting die, these reasons are distinctively particular: they turn on personal acquaintance. The theory of rights must be, in part, a theory of this relation. Argues for a form of humanism on which we have reason to care about human beings that we do not have to care about other animals and human beings have rights against us other animals lack. Humanism respects the equal worth of those born with severe congenital cognitive disabilities. I address the charge of 'speciesism' and explain how being human is an ethically relevant fact. Argues that the ethics of killing and saving lives is best described by agent-neutral consequentialism, not by appeal to agent-centred restrictions. It does not follow that killings are worse than accidental deaths or that you should kill one to prevent more killings. The upshot is a puzzle about killing and letting die. Argues that we do not act intentionally 'under the guise of the good.' This makes it hard to explain why akrasia is distinctively irrational, but this is no objection since it is just as hard to explain on the opposing view. Ends with a problem of akrasia for ethical rationalists. Argues from nostalgia, affirmation, and regret to a principle of 'specificity': it can be rational to respond more strongly to facts that provide you with reasons than to the fact that such reasons exist. Argues against the rationality of self-concern. Non-instrumental interest in my own well-being is not justified by the fact that it is mine. This follows from the metaphysics of first-person thought, as thought about the object of immediate knowledge. The argument leaves room for rational self-interest as a form of self-love that is justified, like love for others, by the fact of our shared humanity. Argues that inadvisable procreative acts should often be affirmed in retrospect. This shift is not explained by attachment or love but by the moral impact of existence. Argues that philosophy can solve the midlife crisis, at least in one of its forms. This crisis turns on the exhaustibility of our ends. The solution is to value ends that are 'atelic,' so inexhaustible. Topics include: John Stuart Mill's nervous breakdown; Aristotle on the finality of the highest good; and Schopenhauer on the futility of desire. Argues that there is no-one it is irrational to love; that it is rational to act with partiality to those we love; and that the rationality of doing so is not conditional on love. It follows that Anscombe and Taurek are right: you are not required to save three instead of one, even when those you could save are perfect strangers. Argues from the planning theory of intention – as an account of means-end coherence – to a comprehensive form of ethical rationalism. Having raised objections to this result, the paper ends by sketching a way out. 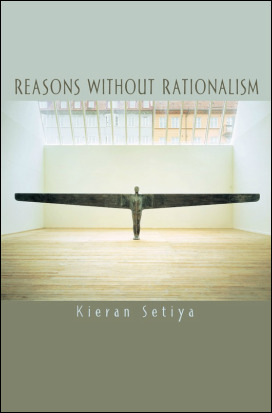 Argues for a conception of reasons as premises of practical reasoning. This conception is applied to questions about ignorance, advice, enabling conditions, 'ought,' and evidence. Argues for a deflationary account of epistemic agency. We believe things for reasons and our beliefs change over time, but there is no further sense in which we are active in judgement, inference, or belief. Argues for an interpretation of Iris Murdoch on which her account of moral reasons has Platonic roots, and on which she gives an ontological proof of the reality of the Good. This reading explains the structure of Sovereignty, how Murdoch's claims differ from a focus on 'thick moral concepts,' and how to find coherent arguments in her book. Argues that the answer is yes. The epistemic assumptions of moral theory deprive us of resources needed to resist the challenge of moral disagreement, which its practice at the same time makes vivid. 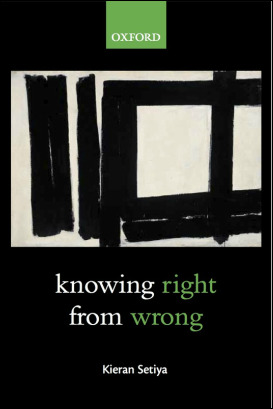 Ends with tentative thoughts about the kind of epistemology that could respond to disagreement without scepticism: one in which the fundamental standards of justification for moral belief are biased towards the truth. Argues that it is not by inference from intention that I know what I am doing intentionally. Instead, the reverse is true: groundless knowledge of intention rests on the will as a capacity for non-perceptual, non-inferential knowledge of action. The argument adapts and clarifies considerations of 'transparency' more familiar in connection with belief. Argues for a causal-psychological account of acting for reasons. This view is distinguished from a more ambitious causal theory of action, clarified as far as possible, and motivated – against non-reductive, teleological, and behaviourist alternatives – on broadly metaphysical grounds. Argues that, while human beings may act 'under the guise of the good,' this is not true of rational agents, as such. Themes discussed along the way – extending the argument of Reasons without Rationalism – include: desires as appearances of the good, the intelligibility of vice, and the kind of essentialist claim that permits exceptions. 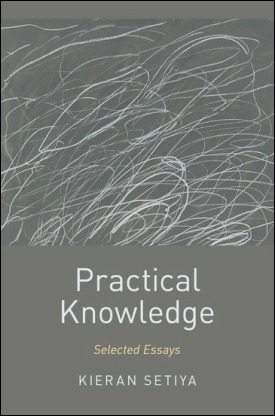 Argues that the view propounded in 'Practical Knowledge' survives objections made by Sarah Paul ('Intention, Belief, and Wishful Thinking,' Ethics 119: 546-557). The response gives more explicit treatment to the nature and epistemology of knowing how. Argues that we cannot form beliefs at will without failure of attention or logical confusion. The explanation builds on Williams' argument in 'Deciding to Believe,' attempting to resolve some well-known difficulties. The paper ends with tentative doubts about the idea of judgement as intentional action. Argues that we know without observation or inference at least some of what we are doing intentionally and that this possibility must be explained in terms of knowledge how. It is a consequence of the argument that knowing how to do something cannot be identified with knowledge of a proposition. Argues for a 'cognitivist' account of the instrumental principle, on which it is the application of theoretical reason to the beliefs that figure in our intentions. This doctrine is put to work in solving a puzzle about instrumental reason that plagues alternative views. Argues that practical irrationality is akin to moral culpability: it is defective practical thought which one could legitimately have been expected to avoid. It is thus a mistake to draw too tight a connection between failure to be moved by reasons and practical irrationality (as in a certain kind of 'internalism'): one's failure may be genuine, but not culpable, and therefore not irrational.